Thanks for the invitation from Photo Soup to be one of the selectors for Photo-Soup's first Open Call, selected artists include Charlie Rubin and Anne Erhard, see the full list at www.photo-soup.org. Photo-Soup exists as a collaborative project to promote artists and projects without pursuing a defined curatorial agenda. Recently contributed to a discussion and resulting text with Jo Addison, Amy McKelvie and Alice Walton in the context of her solo show Not Her Real Name with Tintype Gallery. ‘Alice staged a conversation from the work, not to talk about it so much as besides it. Noting that she had become aware of a circulating set of ideas, words really, that had kept her company for some time, and which increasingly resonated with (informed/borrowed from) conversations happening in and beyond the studio, she proposed talking with people and sharing ideas from the atmosphere of the show.’ Download the text here – Tintype Contemporary Art. 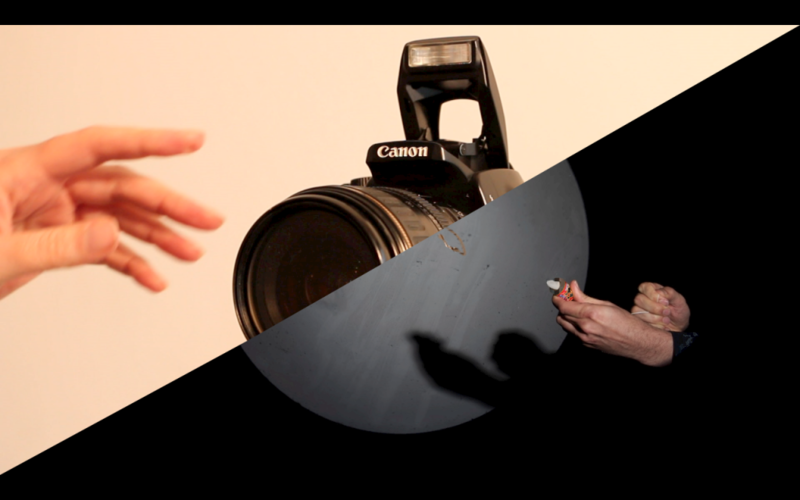 Using recent footage from studio and work with Arts University Bournemouth students – experimenting with expanding the 'Conversation' film pieces, stretching the dialogue between myself and the camera equipment – so it becomes a kind of 'show and tell' between us. Joining the moving image and stills, something in progress there about the use of layers and the imagined personas of camera and photographer. Led a workshop this week with 2nd year students in Bournemouth around ideas related to my ongoing 'trigger' body of work. 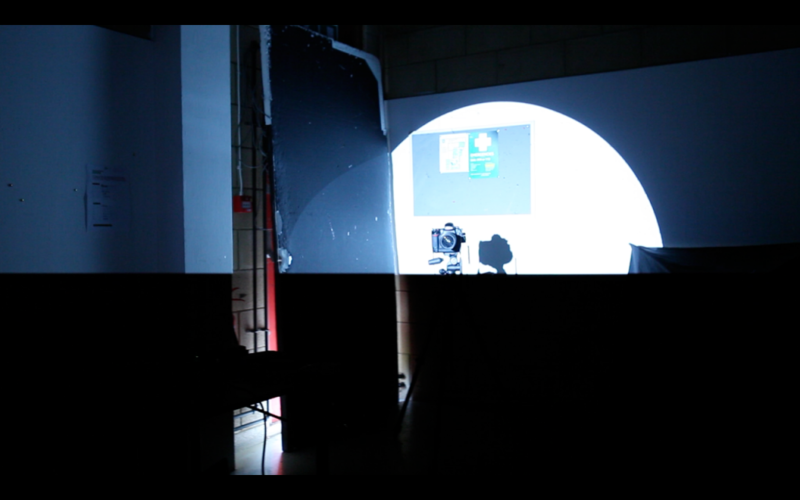 Images are from the morning session – using still images to capture moving objects in the studio. Using props like balloons, plastic balls, a lemon and party poppers. Worked with students – Samantha Robbins, Sam Barry and Oscar Woodruff, and with Senior Lecturer Simon Cunningham and Technician Demonstrator Max Catterall. 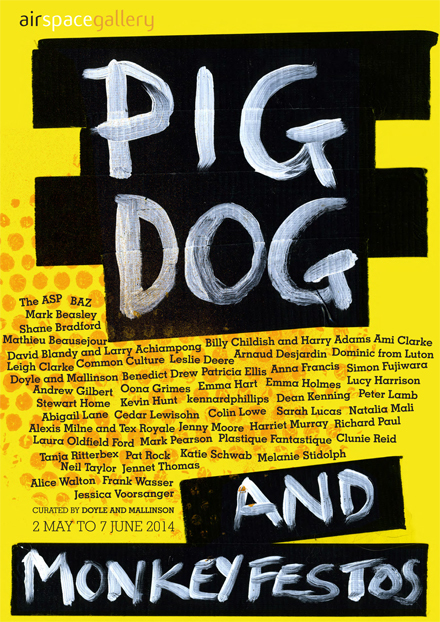 PIGDOGANDMONKEYFESTOS is an exhibition curated by Shaun Doyle & Mally Mallinson, exploring contemporary artists’ manifestos and works inspired by the manifesto format. Dean Kenning, Jennet Thomas, David Blandy and Larry Achiampong, Mathieu Beausejour, Clunie Reid, Billy Childish and Harry Adams, Plastique Fantastique, Oona Grimes, Leslie Deere, Arnaud Desjardin, Richard Paul, BAZ, Alexis Milne and Tex Royale, Andrew Gilbert, Frank Wasser, Katie Schwab, Jenny Moore, Dominic from Luton, Kevin Hunt, Alice Walton, Tanja Ritterbex, Benedict Drew, Stewart Home, Mark Pearson, Colin Lowe, kennardphillips, Doyle and Mallinson, Shane Bradford, Mark Beasley, Simon Fujiwara, Cedar Lewisohn, Patricia Ellis, Lucy Harrison, Natalia Mali, Anna Francis, Harriet Murray, Neil Taylor, Emma Holmes, Peter Lamb, Ami Clarke, Sarah Lucas, Pat Rock, Leigh Clarke, Common Culture, Laura Oldfield Ford, Jessica Voorsanger, Emma Hart, Melanie Stidolph and Abigail Lane. Delivered lecture for BA Photography students in Bournemouth on The Dark Room this week – looking at contemporary practitioners who focus on the spaces and equipment of photography – Christopher Williams and Alexander Nicolas Gehring for instance. 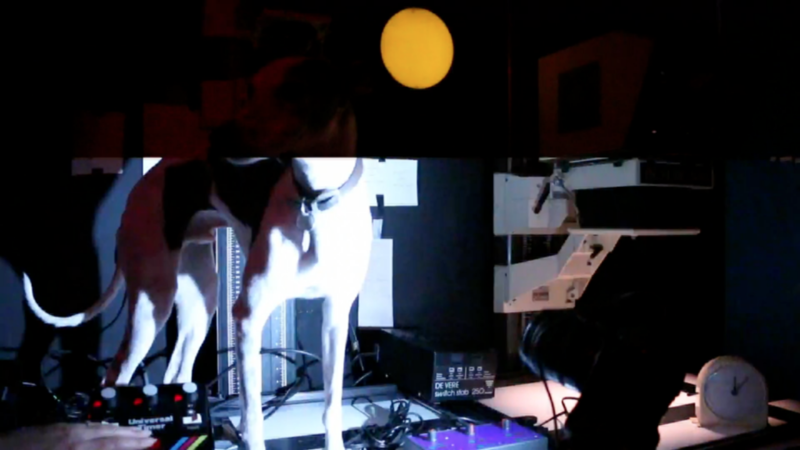 Back in studio experimenting with dogs, triggers and safety lights on new moving image work. 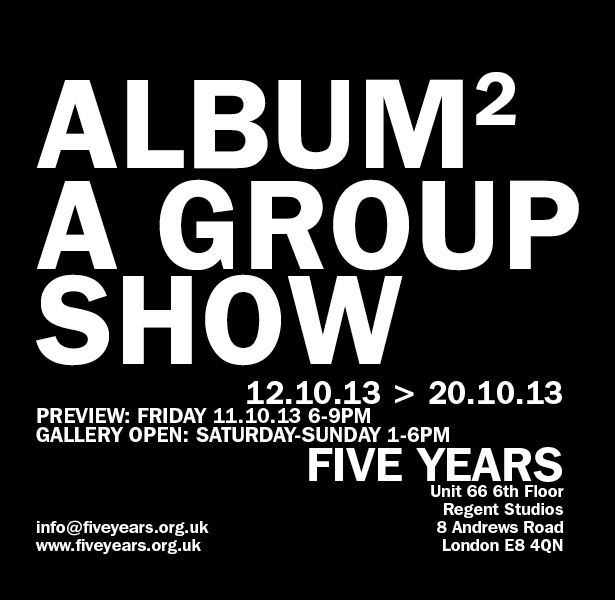 Album took place at Five Years in 2010, the original invitation was for artists to consider extending the parameters of what might usually be exhibited and shed light on the more intimate, uncertain space of their studios. 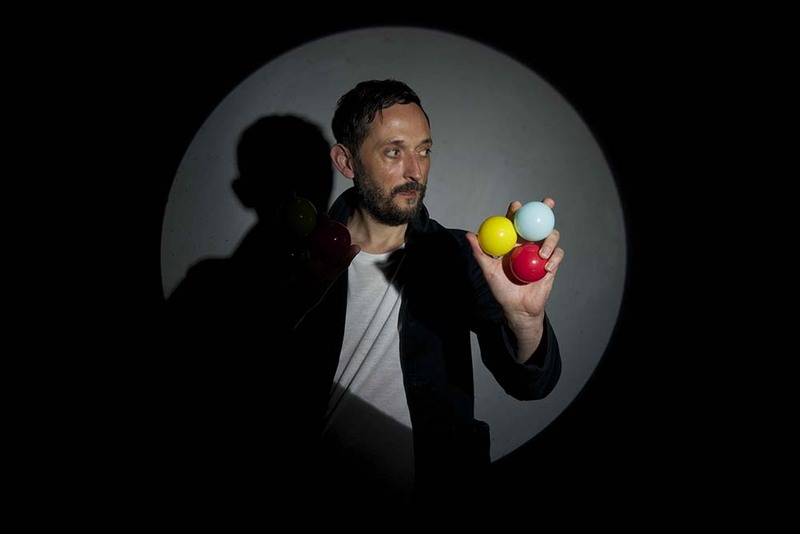 Album² returns to the premise three years on to consider the processes and decisions used to determine when something made or done becomes an artwork. Showing new moving image piece Estate. 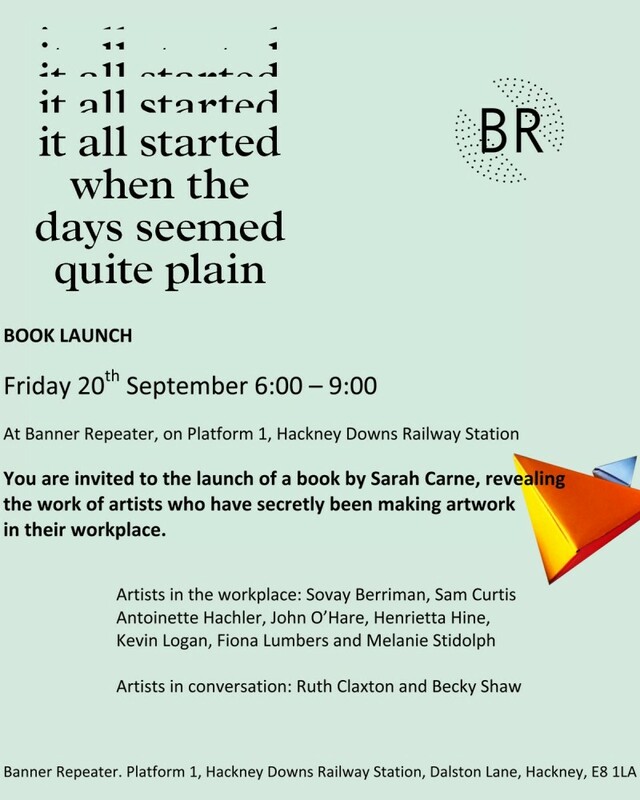 Launch – Friday 20th September, 6-9pm, Banner Repeater, Hackney Downs Station – new artist’s publication by Sarah Carne with contributions from; Sovay Berriman, Sam Curtis, Antoinette Hachler, John O’Hare, Henrietta Hine, Kevin Logan, Fiona Lumbers and Melanie Stidolph, including artists in conversation, Ruth Claxton and Becky Shaw. Sarah has invited these artists to reflect on their roles as artists within their workplace, artists who work in schools, prisons and galleries have been making new work which will be revealed in the new publication, designed by Shining Studio. Thank you to João and Catarina of the wonderful Fauna and Flora website – www.faunaandflora.org. 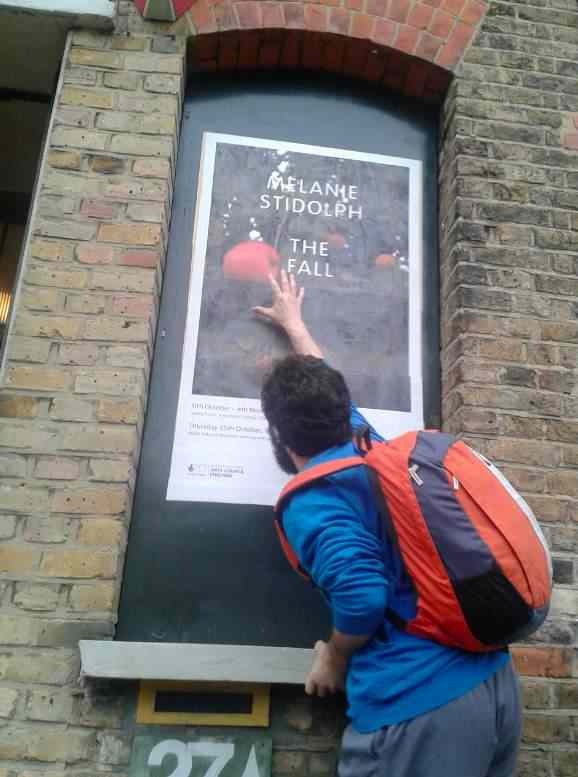 They are featuring some works from my exhibition The Fall on their blog. 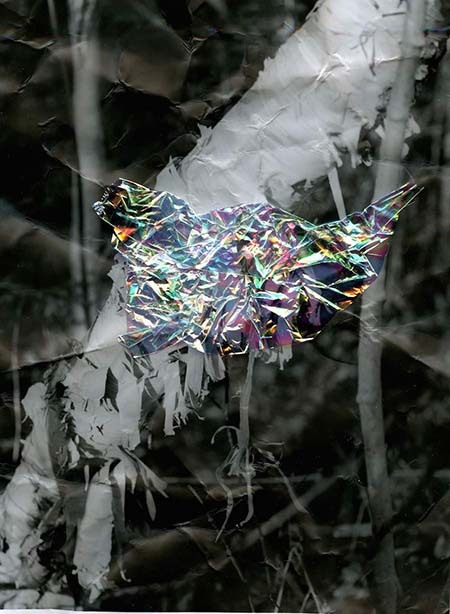 Their website is a growing map of evocative works by international photographers, and they bring a great sensibility to the discussion and presentation of the works. 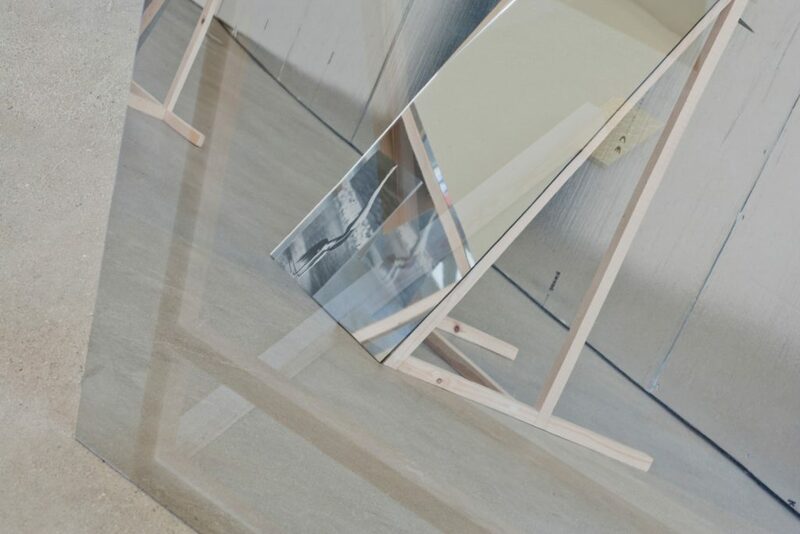 They are developing the project all the time – exhibitions, book works and online interviews. Thanks too to Andrew Bruce www.brucebruce.co.uk for mentioning my work to Fauna and Flora, enjoying his work, particularly the ‘flying’ animals in the Vanitas series.